Home About Universe Astronomy Astronomy Picture of The Day Gallery Info Missions How the Hell is this Photograph of the Moon Even Possible? How the Hell is this Photograph of the Moon Even Possible? 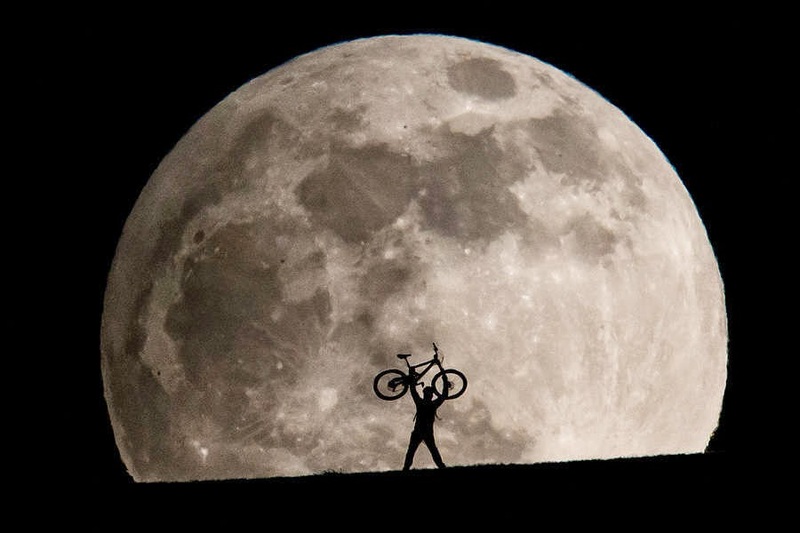 The photo below was captured by Switzerland-based photographer Philipp Schmidli, and came to my attention while I was surfing the web for some breathtaking photo of moon. Philipp Schmidli inscribes on his blog that he spent months seeking out the perfect vantage location for this kind of shot and taking a lot of his inspection with Google Earth and a handheld GPS. You've certainly observed that the moon impression is working intensely in Schmidli's snapshot. 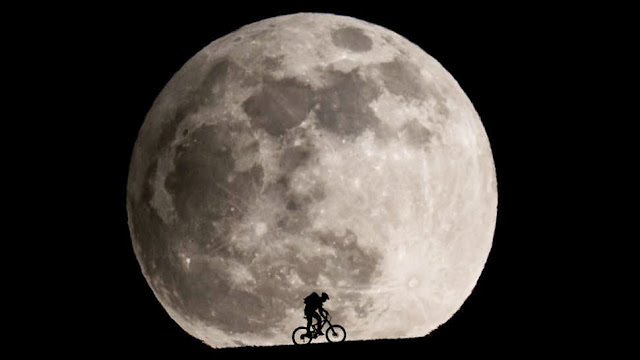 In order to accomplish this result, he had to position himself more than 1000 meters away from his friend on the bike and used an amazing 1200 mm focal length. Philipp Schmidli's extended telephoto arrangement permitted him to feature an effect in his spectacular snapshots, which is also well-known as perspective distortion. In perspective distortion distant things look noteworthy larger comparative to their foreground. When it comes to photo'ing the Moon, most snappers will recommend using a 200mm+ telephoto lens for exactly this goal. Schmidli uses his arrangement to great and jaw-dropping outcome. For the complete description on how these pictures came to be, Schmidli's website, where you'll moreover find many more images from his wide and charming collection.